Fr. Solanus had two great loves – the poor and the sick. The Blessing of the Sick addresses the widespread need for many kinds of healing in so many people’s lives. St. Francis Church would like to celebrate the heritage of Fr. Solanus who once lived here by offering this Blessing of the Sick to people of Fr. Solanus’ home state. 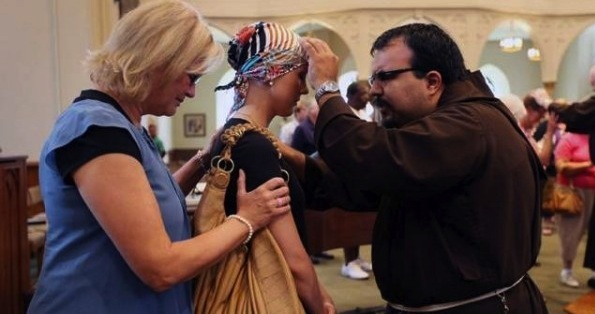 A monthly Blessing of the Sick, takes place 2:00 pm the first Friday of each month. Confession is available beforehand starting at 1:30 pm. A similar service has been celebrated for many years by the Detroit Capuchin friars in commemoration of Venerable Fr. Solanus Casey, OFM Capuchin. Venerable Fr. 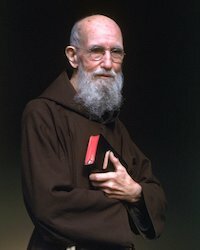 Solanus Casey was a beloved Capuchin friar credited with miraculous cures and valued for his wise and compassionate counsel. He had strong Wisconsin roots having been born in Prescott, WI, and ordained in St. Francis of Assisi Church in 1904. The Blessing of the Sick will incorporate Scripture, prayers of intercession and thanksgiving, a blessing with a relic of the True Cross. This Blessing has ancient roots in the Church, dating back to the 6th century abbot, Saint Maurus.